DELTA is a penetration testing framework that regenerates known attack scenarios for diverse test cases. This framework also provides the capability of discovering unknown security problems in SDN by employing a fuzzing technique. Agent-Manager is the control tower. 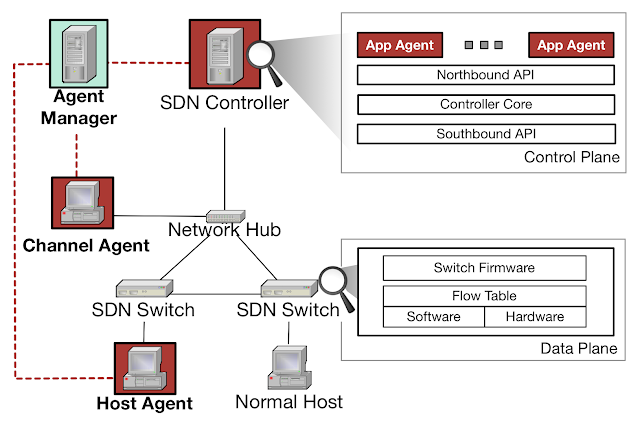 It takes full control over all the agents deployed to the target SDN network. 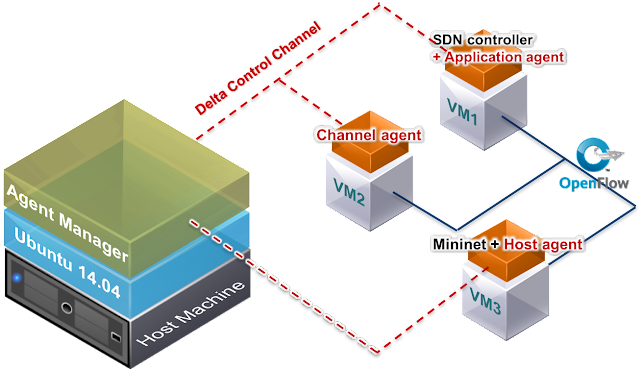 Application-Agent is a legitimate SDN application that conducts attack procedures and is controller-dependent. The known malicious functions are implemented as application-agent functions. Channel-Agent is deployed between the controller and the OpenFlow-enabled switch. The agent sniffs and modifies the unencrypted control messages. It is controller-independent. 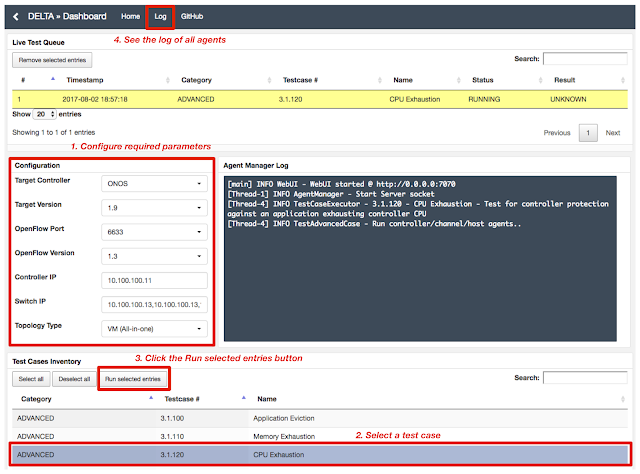 Host-Agent behaves as if it was a legitimate host participating in the target SDN network. The agent demonstrates an attack in which a host attempts to compromise the control plane. (in the case of All-In-One Single Machine) Three virtual machines based on Ubuntu 14.04 LTS 64 bit. DELTA installation depends on maven and ant build system. The mvn command is used to install the agent-manager and the agents. DELTA can support an All-In-One Single Machine environment via virtual machines as well as a real hardware SDN environment. Check if you can access the VMs without having to enter the password. The agent-manager automatically reads a configuration file and sets up the test environment based on the file. DELTA/tools/config/manager.cfg contains the All-In-One Single Machine configuration by default. If you want to test a real SDN environment, you should specify your own configuration file. The app-agent (on the controller machine) needs 'agent.cfg' file to connect to the agent-manager.